The Oksana antique brass small table lamp with crystal drops and beige shade, an opulent table lamp, with large faceted crystal droplets adding a touch of glamour. Wonderful antique brass plated mini crystal table lamp. A lovely small table lamp, with circular base, interwoven scroll arms and petal sconce decorated with quality 24% lead crystal drops. 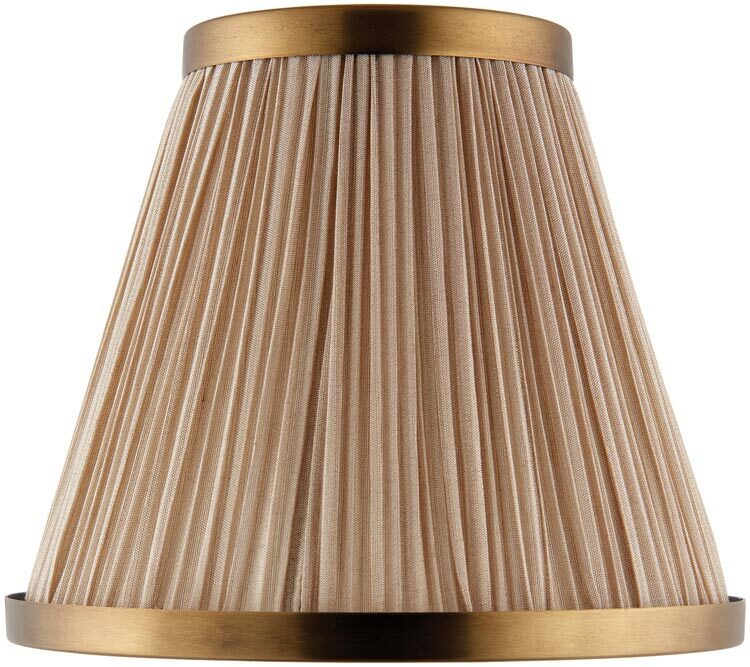 Supplied with a wonderful 6-inch beige faux silk pleated shade that feature antique brass trim at the top and base. A small table lamp that can be used on the smallest table top to add a touch of glamour anywhere. The Oksana antique brass small table lamp with crystal drops and beige shade, part of the New Classics collection, an interiors 1900 exclusive design that has previously won the lighting show best product award.